Afternoon tea wouldn't be the same without finger sandwiches and cakes so I've put together some of my favourites and best of all they are all gluten free! 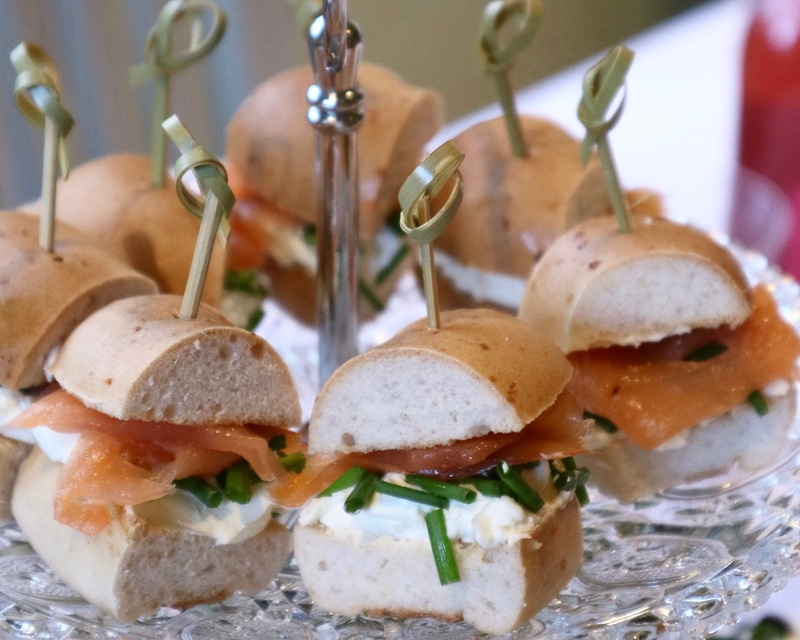 Starting with these mini bagel bites (below) made with lightly toasted Genius Gluten Free Bagels, a dollop of cream cheese, some smoked salmon and chopped chives. Some homemade egg mayonnaise & cress open sandwiches on Genius Gluten Free soft Brown Farmhouse bread. I've topped mine with a little purple sprouts too for an extra pop of colour. This would also work nicely on the seeded loafs. 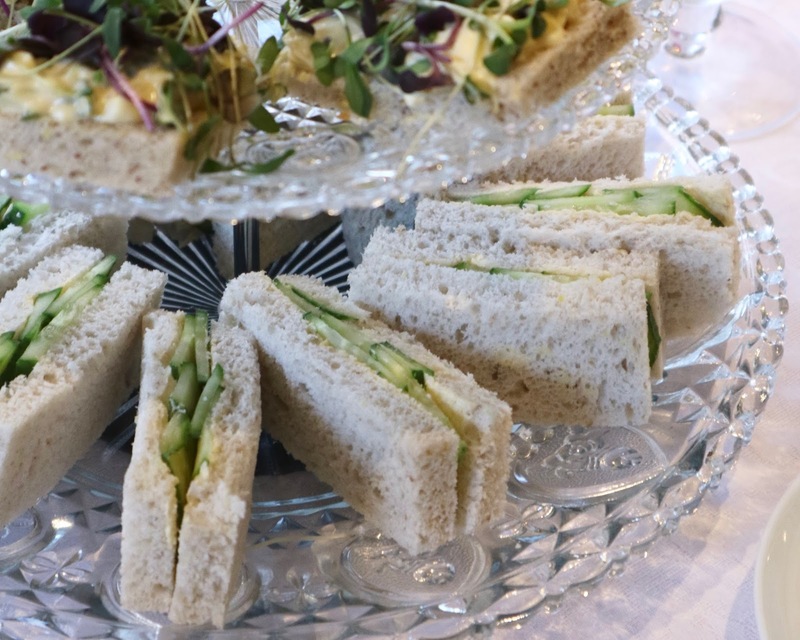 The last of the savoury choices is some classic cucumber finger sandwiches on Soft White Farmhouse with a little butter. 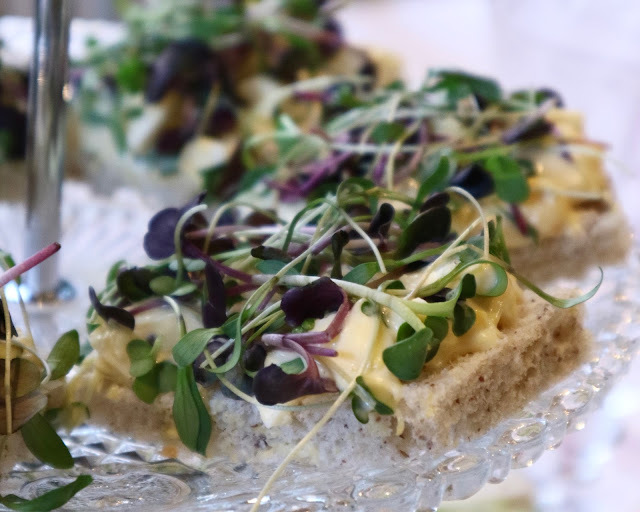 Just love the soft squishy bread with the crunch of refreshing cucumber - An afternoon tea must have! No afternoon tea would be complete without cake and these Genius Gluten Free cupcakes are just divine. A soft moist sponge topped with swirled icing. 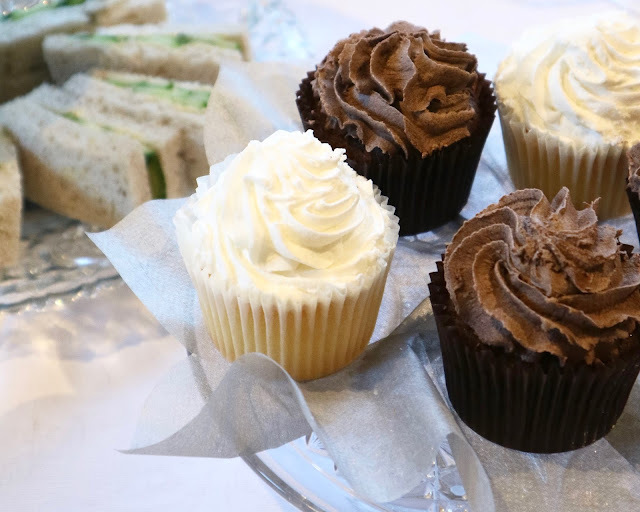 They come in 2 different flavours: Chocolate Cupcakes & Lemon Cupcakes - Both of which are the perfect size for an afternoon tea. 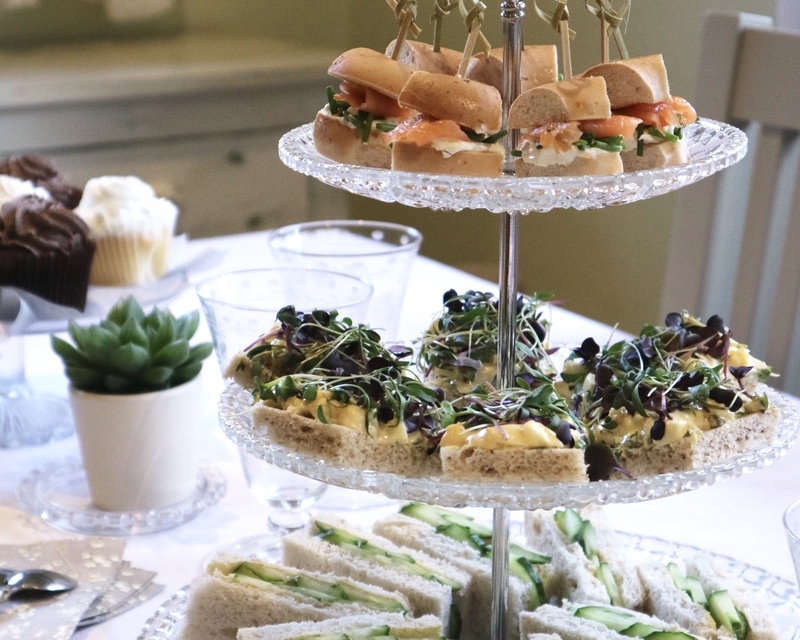 Now, without tea or some refreshing pink lemonade (or champers) this afternoon tea simply wouldn't be complete. It would just be... Afternoon treats?! Table setting is a crucial part to making any afternoon tea look super stylish and sophisticated so for those who are interested; I've dressed my table with a lightly embroidered white table cloth (from Zara Home), silver napkins and doilies for the cakes, and placed the centre piece glass cake stand in the middle of the table so that everyone can tuck in. 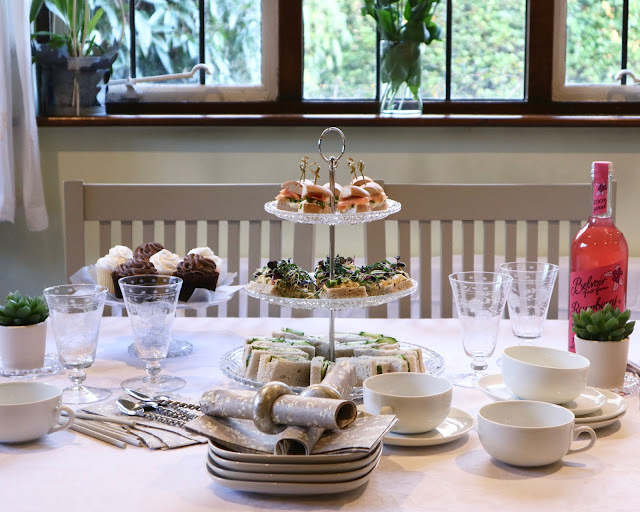 Don't forget some side plates, some pretty glasses (for the lemonade or champers) and some cups and saucers for tea.